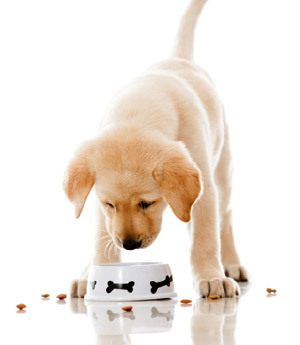 While feeding the best pet food is important – too much can cause problems with overweight pets living shorter lives and being at greater risk of developing joint problems than pets within healthy weight ranges. Check with us how much to feed your pet. Food can also be medicine. Did you know we have special veterinary diets that can be prescribed to treat conditions such as obesity, skin problems, dental disease, heart and kidney problems, arthritis and diabetes? We now have a new food to help dogs who suffer from stress-induced tummy upsets. Ask us if Hill’s Stress i/d would help your dog. 1. In a blender, add 2 cups of dry food, eg Hill’s® Prescription Diet® products, and grind into a powder. 2. Pour powder into a mixing bowl and gradually add 1 to 1. Cups of water, stirring until it forms a dough. 3. Shape into individual ‘treats’ or cookies (or use cookie cutters!) and flatten the dough using the back of a spoon. 4. Place treats on an ungreased cookie sheet and oven bake at 180°C for 30 minutes or until crispy. 5. Store baked treats in a refrigerator and discard after 5 to 7 days. NOTE: Homemade treats should not exceed 5% of your pet’s total daily intake. Not suitable for freezing.